Kazakhs are descendants of Turkic and Mongol tribes and are pastoral nomads of the steppes of Kazakhstan and Mongolia. Most of the vast expanses of these countries are steppe; semi-arid land that is desolate and frozen in the winter and turns to lush, green meadow in mid-spring. 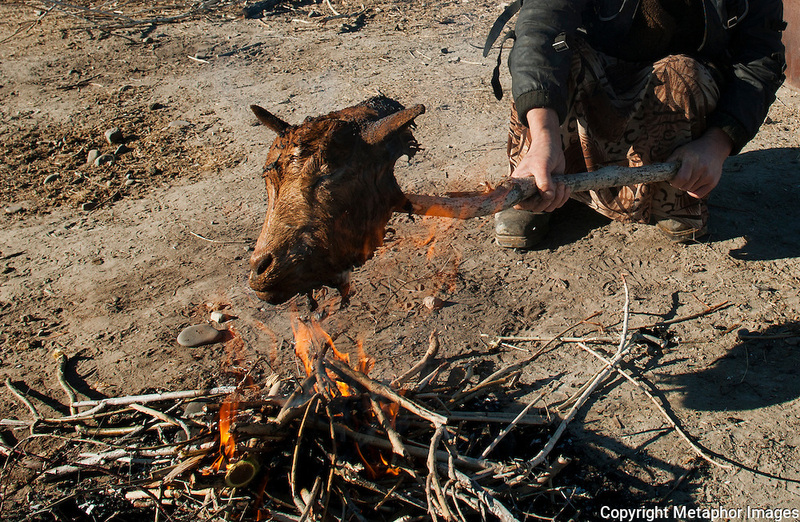 The steppes are invaluable pastureland for the sheep, horses, cattle, and camels that are essential to the Kazakh people...The ancestors of modern-day Kazakhs were nomadic or semi-nomadic, and many of their customs reflect that lifestyle. Nowadays, people live mostly in cities and villages, although some still lead an agricultural life. The nomadic culture is under threat from these changes in priorities..